The design revolution started more than 90 years ago in thuringia or Thüringen, Germany. Walter Gropius founded the most important and influential design school of the 20th century in 1919 in Weimar: the "Staatliches Bauhaus". For many artists and architects, the Bauhaus was an ideology, a conviction, not only an arts or architecture school. 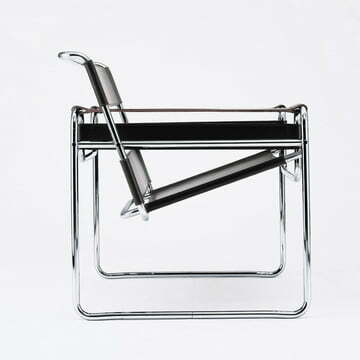 New styles that became revolutionary products emerged out of the experiments with new materials and forms, such as the first mass-produced Cantilever Chair by Marcel Breuer. The followers of the Bauhaus underwent many difficulties in order to realize their progressive ideas: The school moved to Dessau in 1925 (a city which permitted more artistic liberty than Weimar in that time), a third move to Berlin in 1932, however couldn't prevent the end of the revolutionary movement. 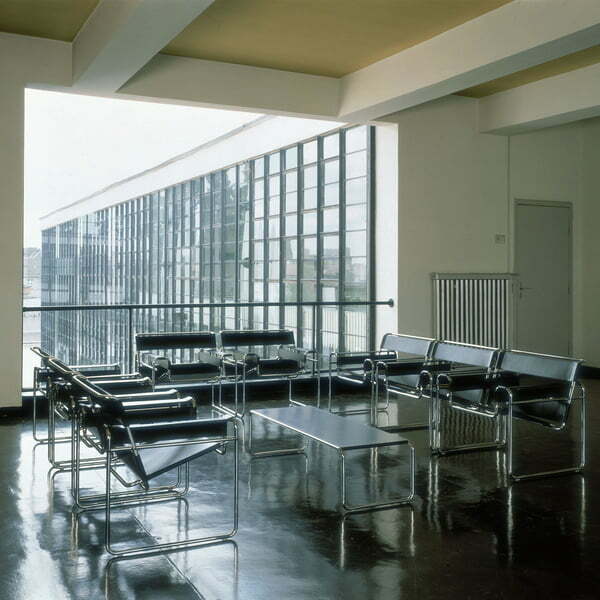 Many designs of the Bauhaus designers were considered decadent during the Third Reich. The lifestyle of the Bauhaus followers was particularly disliked by the Nazis: for example, women wore trousers there – a bad thing for the the NSDAP ideology. Many Bauhaus followers decided to leave Germany after the Nazi takeover in 1933. That which was considered the end of the German Bauhaus movement was also the start of a new international style: Famous Bauhaus protagonists, such as Josef Albers, Walter Gropius, László Moholy-Nagy and Ludwig Mies van der Rohe emigrated to the USA, where a new kind of architecture, product and communication design style developed, exactly like the Bauhaus models. The history of Bauhaus proves that enthusiasm for a new, better, more functional design isn't easy to destroy. The desire to create "furniture for everyone" is still there: Many Bauhaus inventions, such as fitted kitchens, are found all over the world today. Many things that seem normal to us, date back to the Bauhaus movement, which produced architecture and furniture design as no other. Not only the basic ideas and concepts, but also many products out of the Bauhaus era are very popular. That's how the Wagenfeld lamp became an international symbol for great Bauhaus design. The demands of people always focussed simplicity, universally valid design, which is why the creations remain timeless, a whole century after their birth. Fürstenberg Porcelain Luxuriously sophisticated and modern with an international focus - that is how the porcelain manufacturer Fürstenberg presents itself at the beginning of anniversary year 2010 "300 years of European porcelain ". Ludwig Mies van der Rohe Mies van der Rohe was one of the most important architects of modernism. Although Mies van der Rohe is usually seen in conjunction with the Bauhaus movement, he had already developed his most important pieces before he became Bauhaus’ last director in 1930. Wilhelm Wagenfeld Wilhelm Wagenfeld was one of the most important German industrial designers of the 20th century and a student of the Bauhaus.